Located on Ohio Rt. 257, north of Heathrow Dr. Located on Hyatts Rd, east of Steitz Rd. The Union Land Company and the Case Family/The Olentangy River Rd. Located in Highbanks Metro Park, Big Meadow area, U.S. Rt. 23, south of Powell Rd. 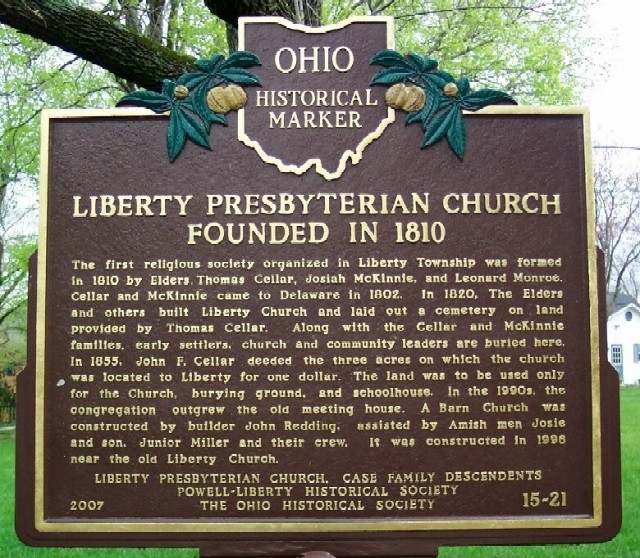 Located at Liberty Presbyterian Church, Rt. 315 and Home Rd. Located at Liberty Presbyterian Church Cemetery, Rt. 315 and Home Rd.